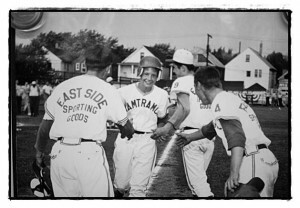 Fifty years ago this summer, Hamtramck had baseball fever. No, it wasn’t the Detroit Tigers that residents here were crazy about. 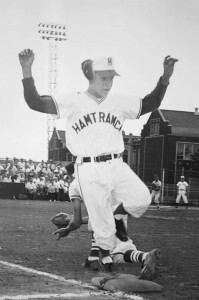 It was the city’s Pony League team that was handpicked to represent Hamtramck in the Pony League World Series held in Pennsylvania. 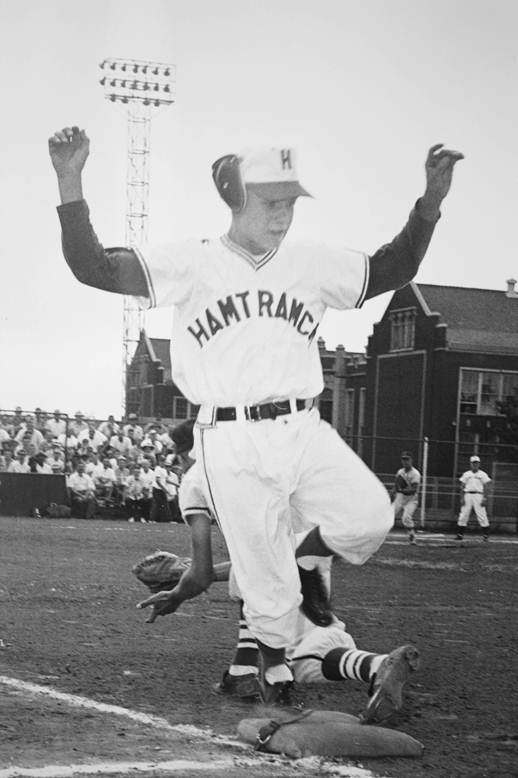 The year was 1961, just two years after Hamtramck won the Little League World Series. Many of the same kids from the Little League team were off once again to represent Hamtramck. And once again, our boys came back as world champs. 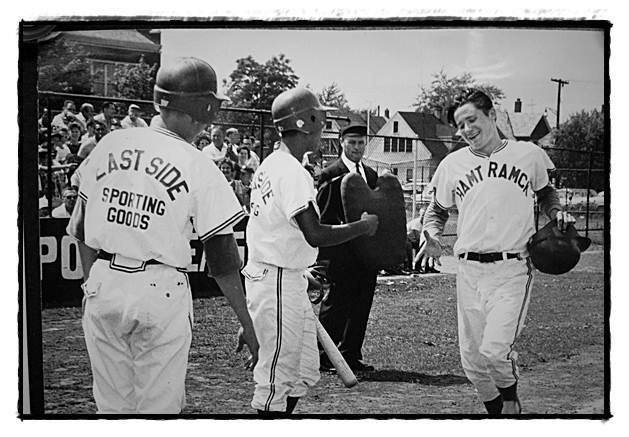 This weekend, the National Pony League office will commemorate the 50th anniversary of that 1961 win in-between World Series games in Washington, Pennsylvania. Only two of the players will be able to make it: Stan Nalepa and Alan Shulgon. Baseball isn’t quite the sport is once was around here. Fifty years ago, though, it was everything. In fact, Hamtramck had been a powerhouse in sports for many years back then: on the football gridiron, the tennis courts, in basketball and on the baseball diamond. Heck, if there had been a hockey team, Hamtramck would have likely excelled in that too. 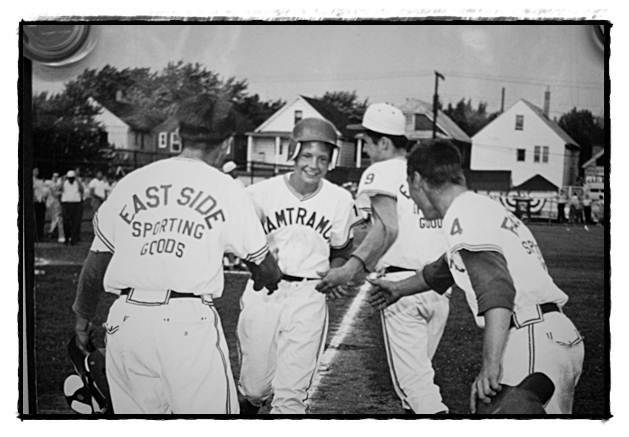 For a boy in Hamtramck in the 1950s and 1960s, it was no easy thing to get on a baseball team and be able to play all the time. The competition was tough. Nalepa remembers being consumed with the game from the moment he got up in the morning to the moment he flopped on bed to go to sleep at night. Stan was 13 at the time of the World Series, and he played just a few innings in it. He made one standout play, though, that helped his teammates pull ahead to victory. Now, the way Stan tells it, that could have meant for him to be careful at what he swung at, or literally, “use your head” – heh-heh, wink-wink. Yes, Stan used his head all right. He dipped his head forward into a pitch — and boink! — got beaned in the helmet. The coach took him out and let Shulgon run in Stan’s place. You know, to make sure Stan was OK.
“It took a lot of discipline,” he said. Compared to today, Shulgon said, there is no comparison to how the game is played. Back then, there was no rule that forces today’s coaches to make sure every kid plays in every game. Some of the Pony League players went on to play professional ball. Probably the most well-known player of that era was Art “Pinky” Deras. He not only threw no-hitters, he could mash the ball as a batter. Pitching-wise, he had an 18-0 record that included 16 shutouts and 10 no-hitters. He struck out 298 batters. As a batter, he had a .641 average, hit 33 home runs and knocked in 112 runs. That was when Deras was in Little League. Those stats will never be surpassed because today’s Little League rules curtail how many innings pitchers can pitch, besides a bunch of other new rules. That means Deras’ record will remain immortal. It will be shown on Aug. 27 on Major League Baseball’s cable TV channel. The time of the showing isn’t known yet, but it will be air sometime in the afternoon. Deras eventually went on to play in the Major Leagues, and then after baseball he became a police officer for Warren. Locally, he’s still remembered and revered. Last week, city officials and others gathered at the corner of Dan and Jos. Campau for the unveiling of a street marker honoring Deras. Hamtramck pony league. I remember that team well. In 1964 or 1965 … if memory serves me well … I played in a tournament against your boys. I pitched a 1 hitter in the 1st round & hit the winning single. I got carried off on my teams shoulders. We lost the next round & your boys defeated us in the finals. I played in the Detroit Joe Koppe pony league. Played out of Patton Park. Hamtramck was a very polished team.Solid at all positions. I hope they won it all. Back then – baseball was king. We lived & breathed baseball 24/7. I was the pitcher for Southside Pony league that pitched against Art Deras. We both pitched 9 innings to a 1 to 1 draw. We would have won the game in seven innings but an error in the 6th inning allowed a run to score for a 1 to. 1 tie!